As I live in a studio in the attic of a building, it is not the most isolated place to be in. So when not heating, temperatures could drop quite low in winter and reheating the place could take some time. I don’t like to waste unnecessary energy by keeping my place at a constant temperature when I am not home, so I soon wanted to switch my simple thermostat to a more advanced one. Being a ‘geek’ as well I soon looked into these smart thermostats. I found some second-hand thermostats for 30 euros which have been issued by a Dutch energy company called Essent. 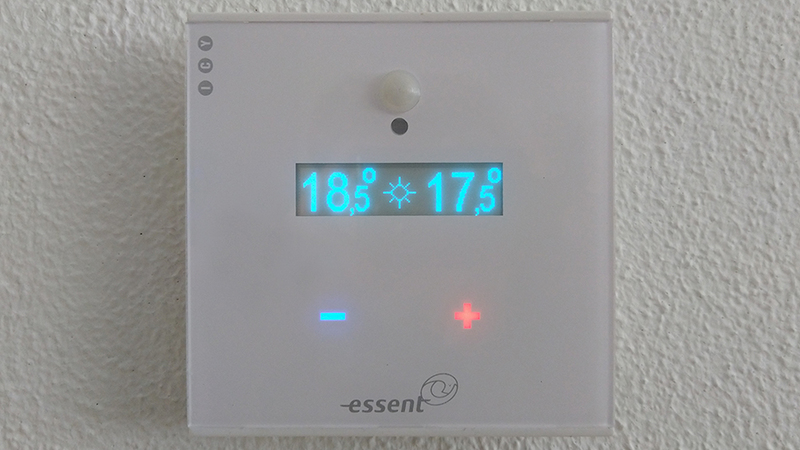 Some research turned out these thermostats could be used even if you’re not a customer of Essent. So I bought one, paid ICY (the manufacturer of the thermostat) another 10 euros to transfer the ownership (I know, it’s ridicoulous) and started using the device. As this ‘E-thermostaat’ is a device already released in 2011, it’s features are somewhat limited compared to today’s standards. Only 30 scheduling moments available, only 3 temperature presets/modes (comfort, save and away) and some very limited settings for controlling the behaviour of the thermostat. You can program the device via USB on a Windows computer using the supplied software, using the web portal via Essent’s website or via Essent’s app for iOS and Android. That’s basically it. No support for any third party home automation software. All the ‘smart’ communication goes via the servers of ICY. And this last point is of course a sore spot when a device goes end of life… And that is exactly what happened. Last December, I got an email from ICY informing me that they will discontinue this product in February 2019. However, if enough people are willing to pay a contribution, they will keep their services running. The costs would be €1,95 per month so €23,40 to keep the service running for another year. Even though the costs are not that high, I still think it is ridiculous to pay that amount of money for a service with such limited features comparing to today’s standards. This is where my journey to reverse engineer this device started.